SAN FRANCISCO, Calif. /California Newswire/ — EPIC Insurance Brokers and Consultants, a retail property, casualty insurance brokerage and employee benefits consultant, announced today that the firm's Marketing, Communications and Design Team has received the "Gold Award of Excellence" and the "Silver Award of Distinction" from the 22nd Annual Communicator Awards, the leading international awards program honoring communication professionals for creative excellence. From more than 6,000 entries, EPIC was selected for the distinctiveness and creative work in its "We Know Transportation" online video, which won the "Gold Award of Excellence." The video highlights EPIC's Vice President of Transportation and Logistics Risk Control Michael Nischan, discussing the safety risks and consequences of cargo theft in the transportation industry and how to protect against theft. The video was produced and directed by EPIC Senior Designer, Titus Barrios. 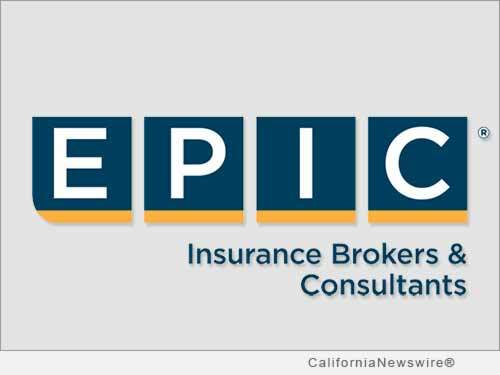 To view the video, please visit: http://www.epicbrokers.com/product/transportation-and-logistics-risk-control/. EPIC's Employee Benefits 2.0 brochure, a set of content designed to effectively communicate EPIC's comprehensive employee benefits practice capabilities to its customers, won the "Silver Award of Distinction." The design was conceived and executed by EPIC Creative Services Manager Jody Siu and Designer Nancy Phun. Winners were selected by the Academy of Interactive and Visual Arts, a 600+ member organization of leading professionals from various disciplines of the visual arts dedicated to embracing progress and the evolving nature of traditional and interactive media. "It is an honor to be recognized for our team's commitment to producing content that effectively and creatively communicates EPIC's capabilities to our customers and others," said Dave Hock, senior vice president of marketing and communications at EPIC. "This recognition validates the creativity, ability, professionalism and collaboration of our team, whose innovative ideas continue to drive interesting, successful communication." The "Award of Excellence," the highest honor, is given to entrants whose ability to communicate positions them as the best in the field and "The Award of Distinction" is presented for projects that exceed industry standards in quality and achievement.